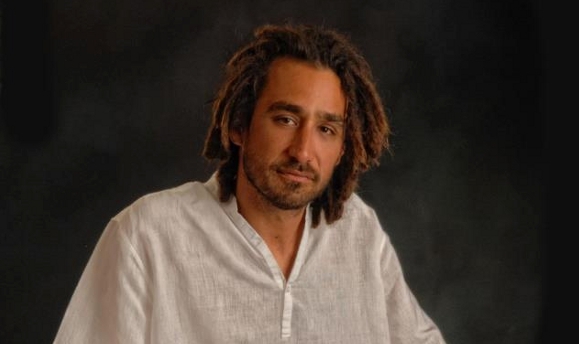 Quino of Big Mountain fame broadens his reggae to Latin sounds of salsa, Afro-Cuban and ballads, but continues to push the envelope by boycotting a Sri Lankan concert and bringing reggae to avant-garde venues. A grand piano graces the stage beside a black drum set with percussion and green congas on the opposite end leaving space in the middle for headliner, Quino, of famed reggae band Big Mountain. The elegant ambiance of this popular San Diego supper club, typically reserved for smooth jazz and R&B artists who headline weekly, fits well for Quino’s new approach to his music genre. Always pushing the envelope to bring reggae to unconventional venues, Quino appeared August 2nd as the first reggae artist to take the stage at this high-end nightclub, Anthology. As usual, he did not disappoint. With brother James on percussion and vocals, the McWhinney boys opened their set with smooth Latin sounds, easing through the evening exposing Quino’s powerful vocal versatility with romantic ballads, Afro-Cuban beats, Latin reggae and even moving the audience off their feet to dance to Quino’s salsa dynamics. But it was Quino’s authentic reggae sounds that tore the house down when he and James exploded their revolutionary cries of peace, justice and change. His signature 1994 reggae hit, “Baby, I Love Your Way” lead the closing songs reminding the audience that reggae asserts its standing in all venues whether a street fair, a beach celebration, an outdoor festival or a sophisticated supper club in an upscale neighborhood. This is the heart of Quino, an evolving artist pushing his talent to encompass a wider audience while simultaneously bringing depth and range to his message of peace, love and global justice. 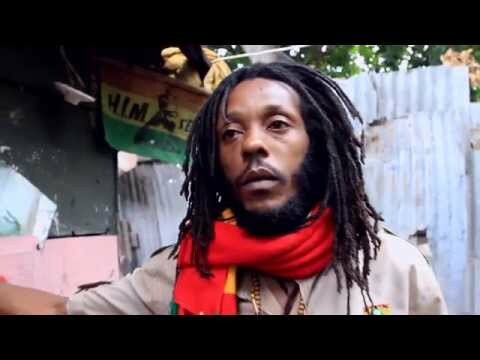 True to the reggae spirit of Bob Marley’s social consciousness, Quino recently turned down an offer for a concert in Sri Lanka to headline with Maxi Priest this past April as a boycott to the struggles and violence perpetrated onto the indigenous Tamil people in northern Sri Lanka. Quino’s intellectual global perspective and conscious-raising spirit would not allow him to participate in a venue with a controversial history of alleged oppression, violence and human rights violations. Even the name Big Mountain carries a symbolic gesture of social consciousness. In the eighties Quino’s band, formerly called Shiloh, performed a benefit concert to raise money to fight a British mining company’s relocation efforts of 12,000 native Hopi and Navajo tribes in Arizona in order to strip-mine coal in a sacred mountain called Big Mountain. As an act of support to shine light on the injustice at Big Mountain, Quino took on the moniker for his band. Quino’s conscience and intellect comes from a rich culturally diverse family layered with music, activism and tragedy. Born in 1966 in San Diego, California to a Scot-Irish father and Mexican mother, little Joaquin, named after a Mexican ‘Robin Hood’ rebel Joaquin Murrieta, moved to Honduras at the age of five while his father, an educated agriculturalist, worked for Dole Bananas. While residing in Central America Quino’s brother, James McWhinney, who also sings with Big Mountain, was born in 1973. Unfortunately, soon after his birth their mother returned to San Diego with the boys in a hushed controversy following the brutal stabbing death of their father, leaving Quino at age seven and his family with a mysterious loss that never underwent investigation or trial, let alone a devastating personal trauma. Four years later, Quino’s mother remarried an African American photographer, college professor and businessman whom Quino loves and adores. He recalls a moment watching America’s TV news magazine, “60 Minutes”, with his stepfather about a profile on Bob Marley. The following day his dad bought and played Marley’s Kaya album leaving Quino with a love of reggae as an early teen. In addition, Quino’s politically activist Mexican aunt lived with a Rastafarian and she introduced Quino to writers like Howard Zinn and his book 'The People’s History of the United States', which slowly crafted Quino’s comprehension of oppression and injustice. To enhance more music to his rich life, Quino’s Mexican grandfather and two uncles performed Mexican songs professionally, encouraging a Latin mix of world music in their diverse household. Not surprisingly, Quino eased into Latin reggae projecting the same smooth melodic rhythm, cultural soul and engaging versatility in his voice as in the 1994 hit, “Baby, I Love Your Way”. Quino’s sensuous sound perfectly matches his striking looks and soulful conscience, which endlessly mesmerize any female audience. Quino’s 2010 solo, self-produced album, La Ofrenda by Quinazo, created a personal bilingual concept album with reggae/rastafarian methods building a bridge to his indigenous Aztec mythology and Mexican roots. Quino contends, “This was my chance to purge the negativity of the Hollywood Days, the pop-oriented scene having to make a hit. Feeling used and lost, I had to go inward. Quinazo was about ‘self’ with no pop overtures. It was the first time I didn’t have to make a hit.” Quino explains that he was fine singing pop music and R & B, but the idea that the essence of his identity, politics and social consciousness woven into his reggae music was lost and ignored by major recording executives didn’t sit well with him. The focus continuously remained that a number one hit drove this shallow scene, which discouraged and depleted Quino’s trust in the music industry. His hit song became part of the soundtrack for Ben Stiller’s film, “Reality Bites” with Winona Ryder and Ethan Hawke. Although Quino appreciates the lucrative days of screaming fans, world tours, and headlining, he rarely forgets the rough days prior to “Baby, I Love Your Way” when Big Mountain opened Jamaica’s Sunsplash in 1993. A nostalgic laugh led to a memory of touring in an old blue-painted school bus watching the big bands’ buses fly past them. However, one year later Big Mountain closed Sunsplash and similarly in Japan, Steel Pulse and Freddie McGregor opened for Big Mountain. What a difference a year made when they finally earned the shiny new tour bus. These life experiences and social morality define the heart and soul of Quino, who after years of living in the convoluted push and pull of the music industry following a major hit and successful world tours, spent the last seven years teaching multi-media and sound engineering classes at Olympian High School east of San Diego. This opportunity allowed him the chance to inspire young people to develop a social conscience, as well as give them tangible experience for a future in the music, film and radio industry. However, after taking these past years to focus on his family and still perform on days off, the music bug crept back heavily as Quino ended his teaching career to tour with UB40 and Billy Ocean in Australia and New Zealand this past January 2012. 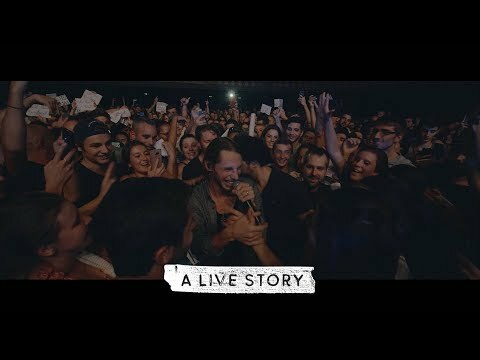 Quino recently moved his family to Ensenada, Mexico to be close to his wife’s family and enrich his musical endeavors, such as closing for a major beach festival in Tijuana at the end of July. Living close to the border affords him the opportunity to perform at a myriad of concerts in the U.S., as well. 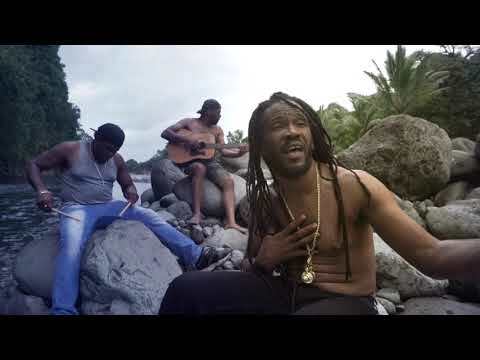 Joaquin McWhinney, an unstoppable traditional, yet ever-changing, reggae musician inspired by Bob Marley’s struggle to expose poverty, oppression and injustice, continues to speak for those unable to speak for themselves. 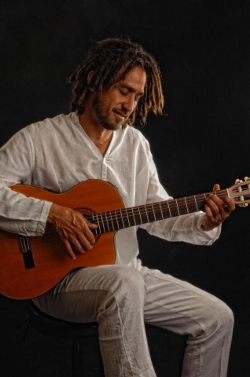 Despite Quino’s recent move to broaden his repertoire into salsa, Afro-Cuban sounds, and ballads, reggae is the medium Quino uses to shine light on poverty, global injustice, Mexican border issues, and indigenous people’s struggle, while love, peace and occasional romance lace his reggae message even in avant-garde venues.